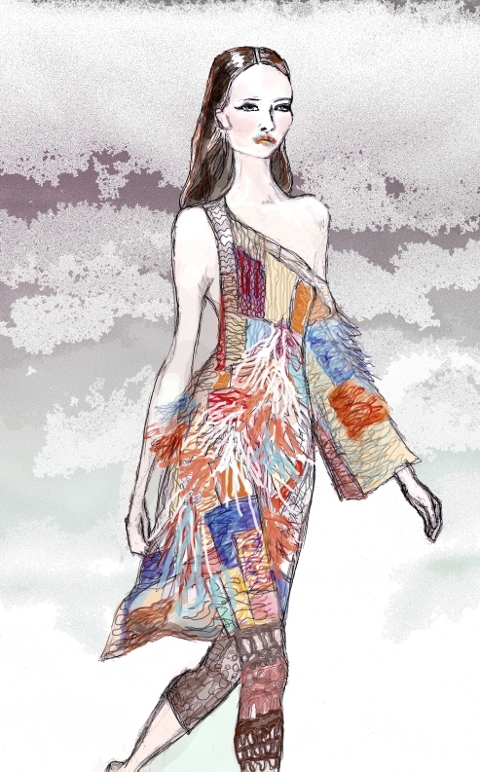 First up of the London Fashion Week illustrating frenzy! My illustration of Leutton Postle for Amelia's Magazine went up a few days ago but been so busy doing illustrations have not posted it yet. More to follow. Here is the illustration and here's the article with gorgeous photographs, and gorgeous colourful knitwear. She's great! Looks every inch the high fashion model!